When one loves both the Korean Fried Chicken (KFC), and, the Middle Eastern falafel, in case they are a recipe developer, chances are that they come up with a fusion recipe to indulge them both. 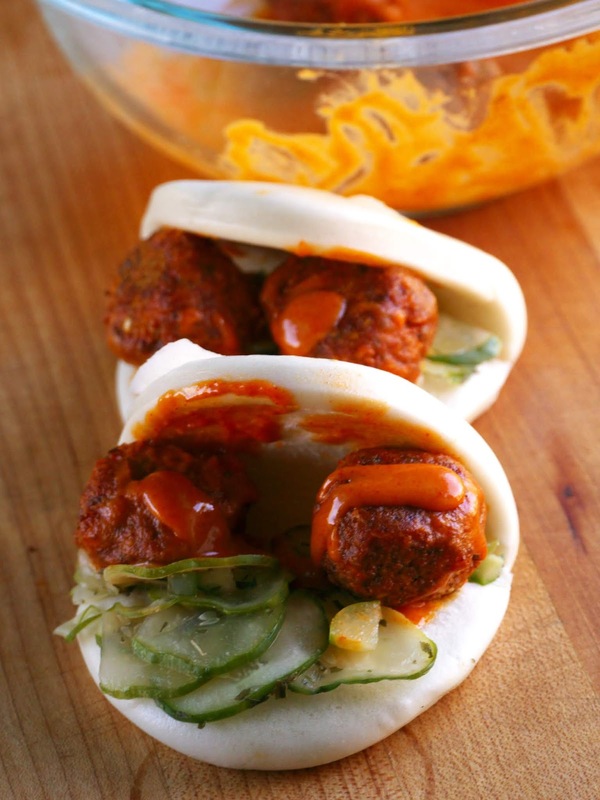 The presented falafel is heavily inspired by the sweet/spicy/Umami flavors of Korean fried chicken. 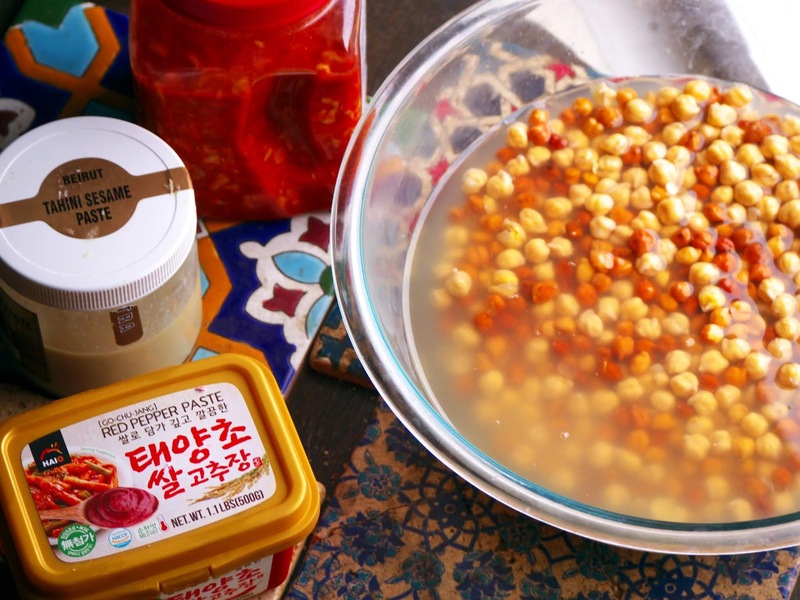 The batter contains a small amount of Kimchi and the sauce contains the fermented Korean chili and rice paste, also known is Gochujang. For this recipe I used my homemade lacto-fermented cabbage kimchi; store-bought versions or even Sauerkraut will do the job and there will be no need to ferment your own Kimchi (though it is fun). * * In case of not liking Kimchi, use store-bough Sauerkraut and add 1 TSP of Korean chili powder or Gochujang to the ingredients. Soak the chickpeas overnight. Sauté the kimchi in the oil. when dry, add the tomato paste and toast in the oil. Set aside and let cook. 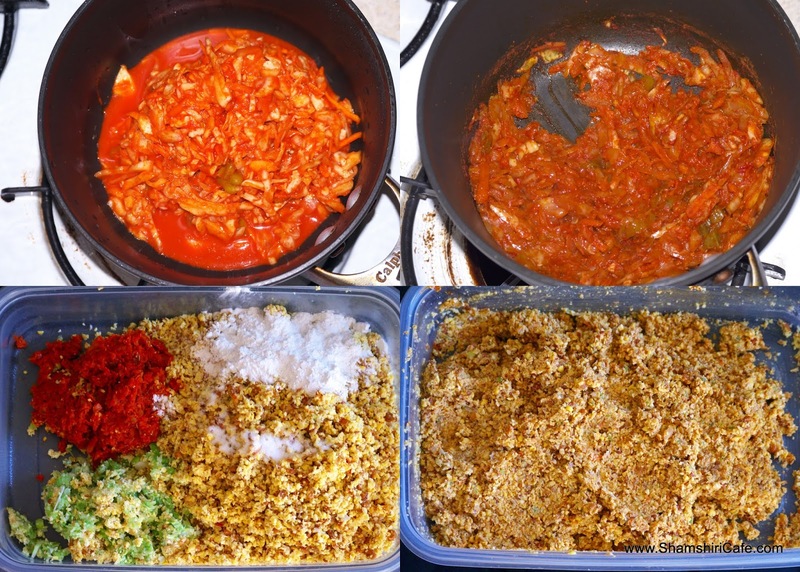 Finely process the kimchi mixture, set a side. Finely process the garlic and scallion and set a side. Finely process the chickpeas, salt, and the kimchi juice. Mix the kimchi mixture, the scallion mixture, and the flour into the chickpea, making sure the batter is homogeneous and well-mixed. 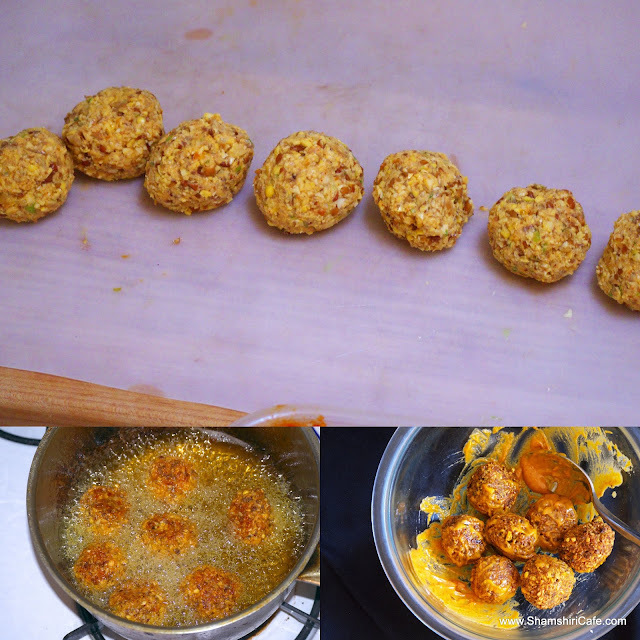 Form golf ball sized felafel patties and fry in hot oil, a minute per side (or per hemisphere?). To make the sauce, mix all the ingredients and add enough hot water until reaching your desired consistency. If you prefer not to kill the useful bacteria from the kimchi juice, add it at the end and when the sauce is cool. 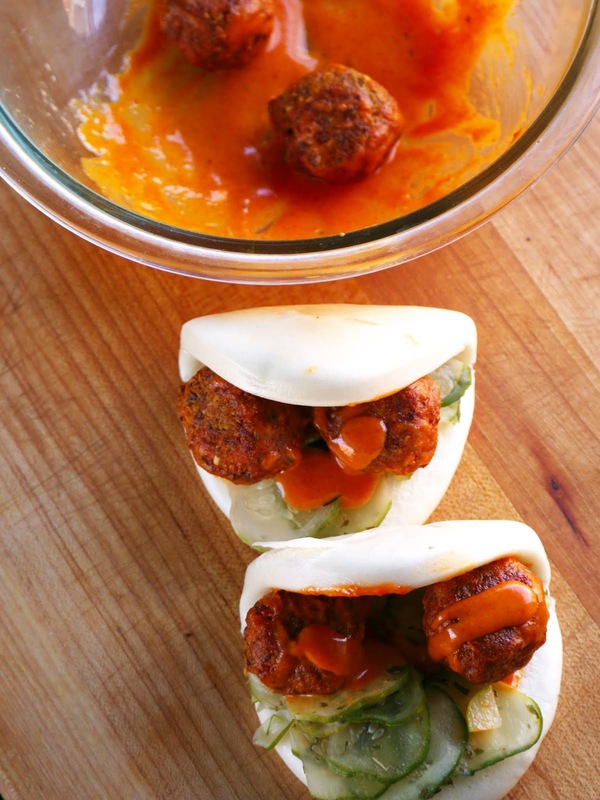 If Bao is store-bought, revitalize it by steaming for a couple of minutes. Microwave does not quite work on these buns..